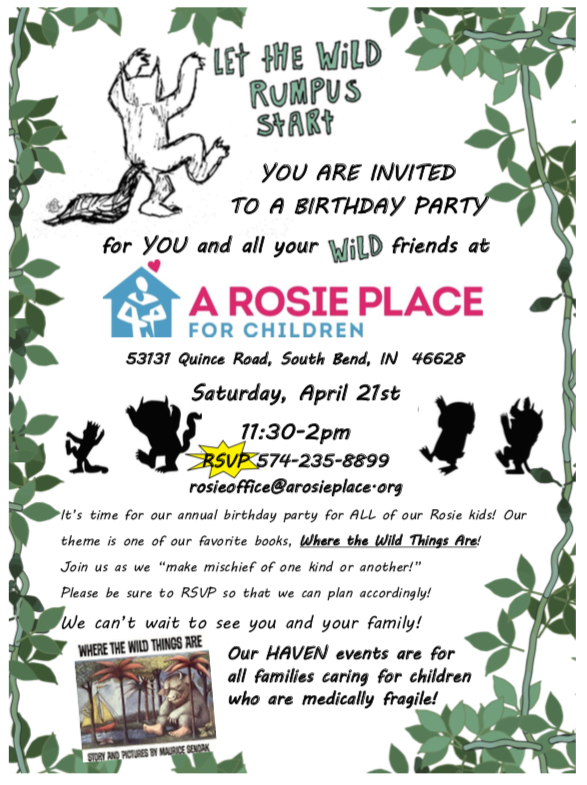 Our friends at A Rosie Place, who serve families with children who are medically fragile, are welcoming all families in the community with special needs children, to their annual Birthday Party on Saturday, April 21st from 11:30 – 2:00 pm. Let the Wild Rumpus Start is the celebration theme from Maurice Sendak’s Where the Wild Things Are. If you’d like to attend, be sure to RSVP by phone or email.